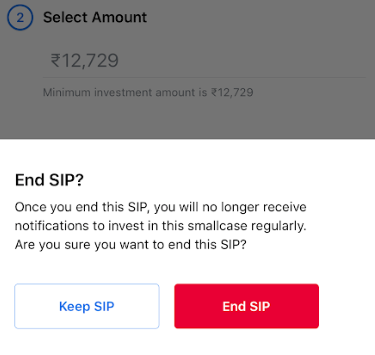 You can start SIP while buying the smallcase for the first time or after you purchase the smallcase, from the Investments page. 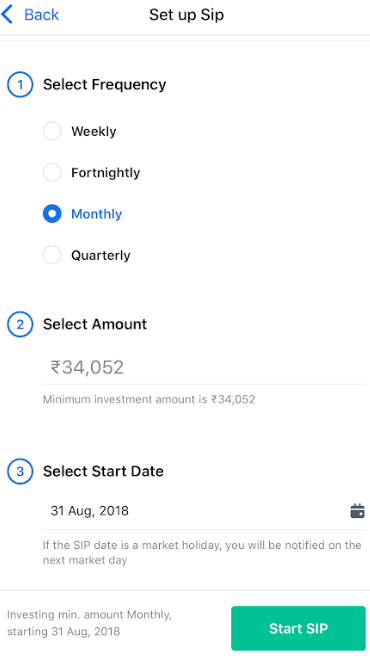 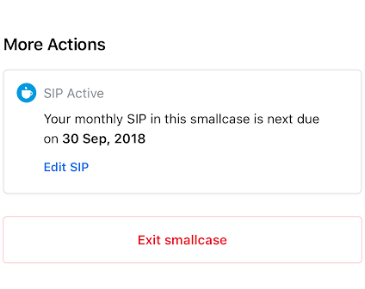 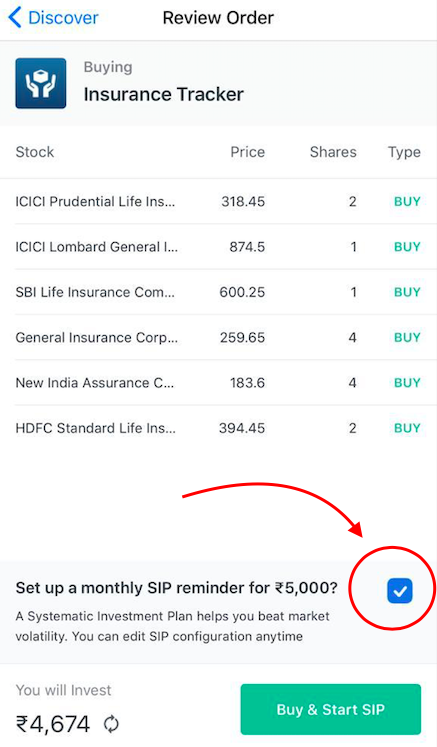 At the time of purchasing smallcase, you can click on the Start SIP check box to start monthly SIP. 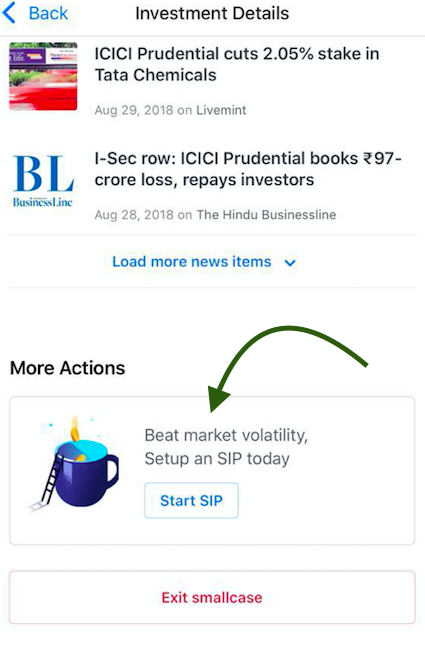 In you wish to start the SIP anytime after invested, here is the step by step process. 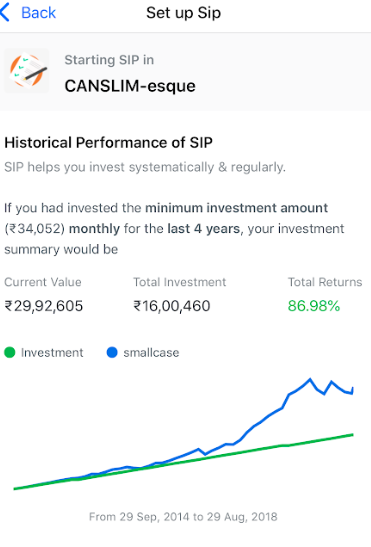 After tapping the Start SIP, the "See historical performance of SIP" shows you an overview of what your investment would have amounted to at present, if you had invested the said amount through SIP for the past 4 years.